This week is Ride To Work Week, so if you’re one of the unlucky ones who doesn’t normally get to ride for the daily commute, this is your prime excuse to dig out your bike and arrive with a smile on your face. The annual event started as a one-day only gig, but has grown to encompass a whole week, and is an international initiative to prove the benefits for everyone on our roads. Motorcyclists are happier when they commute by bike, saving time and money for most commutes that would normally involve a car or train journey, and cumulatively reducing congestion for other road users, too. 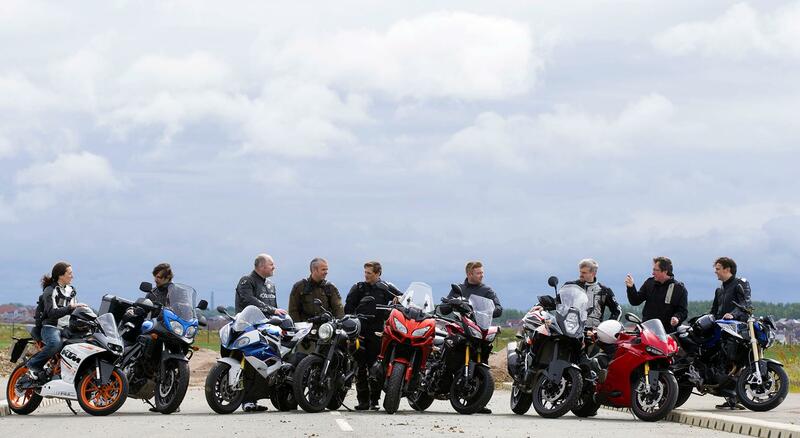 The MCN team obviously rides to work every day, but we understand that it’s not always practical – depending on your job, location, or school-run duties – but this is the week to make whatever exceptions you can to get on your bike and show your car/train/bus commuting colleagues what they’re missing. Head to the Ride To Work Week website to find events and incentives in your area to make riding to work even more enjoyable – from vouchers to discounts, to free bacon butties! And to help celebrate Ride to Work Week we’re offering you 50p off this week’s MCN, featuring a full round-up from the Isle of Man TT and Catalunya MotoGP, the Honda RC213V-S officially revealed and a brand new-look MCN Garage section inside. Print your voucher, and claim your 50p off! ++++ Leading bike insurance broker Carole Nash is joining in the fun, building 'Motodesk' so its staff can combine work and pleasure throughout Ride to Work Week. The wooden desk, which you can see in our picture, surrounds a bike's cockpit so riders can roll up on two wheels and use their computer without leaving the comfort of their own saddle. Send us your Ride to Work Day pics!